We understand that every hotel is unique. That’s why our packages vary based on your needs. Whether you’re looking for access to industry-leading software for managing your reputation and social media in-house, or you want us to take the work out of your hands, Travel Media Group is the partner you’re looking for. Our packages below offer annual rates on bundled social media, reputation and review response solutions for added savings. Customizing your solutions with custom social posts, a vanity website or review responses by star-rating is easy. Sign up for a consultation today. *Pricing based on annual agreement and may vary based on review response quantity. 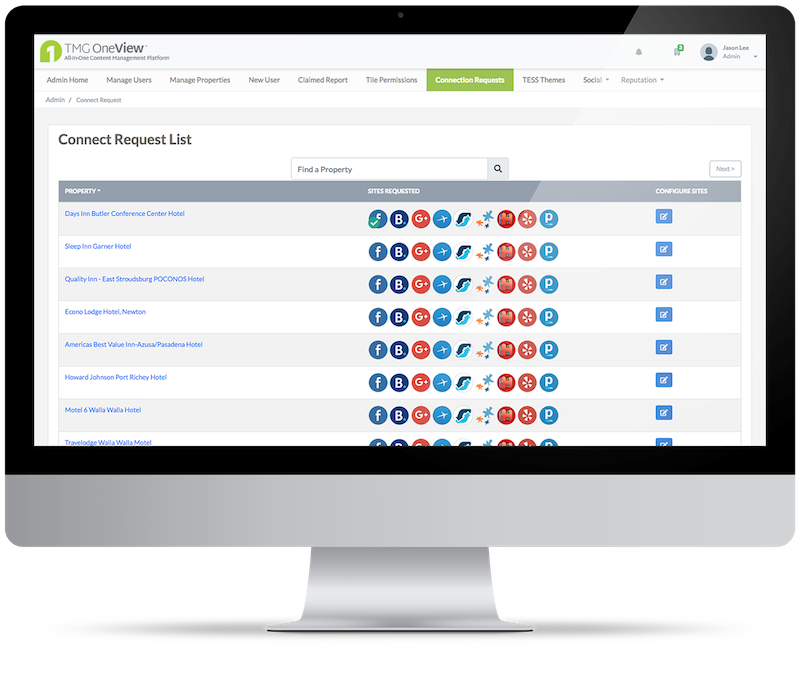 Access the industry-leading platform for managing your hotel’s user-generated content online. 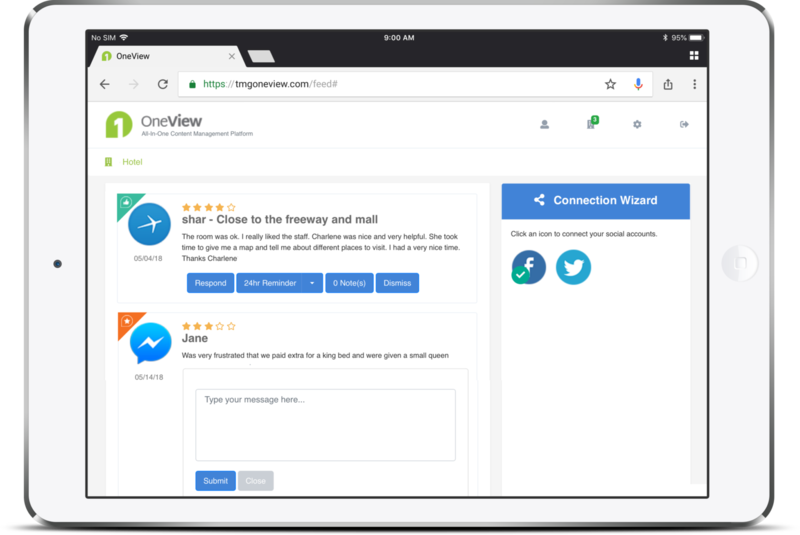 From social media messages to reviews, the TMG OneView™ Feed makes it easy to respond to, share and assign posts to your staff. Our solutions and technology are built to grow with our hotel partners. Ask us about white-label software solutions for hospitality brands, PMS system integrations, and dashboard reporting for management groups. For 35 years, Travel Media Group has helped hotels increase occupancy and improve revenue. As a hotel owner or manager, you can’t ignore the way travelers use social media, review websites and online listings to browse hotels and make booking decisions. Your online presence is like your landscaping – think of it as your online curb appeal. It’s the first impression travelers have of your hotel. Take control of your online curb appeal today by speaking with one of our hospitality consultants. We’ll work with you to design a package that fits your needs. revenue for over 35 years.